Fill-out the form below to get free no-obligation quote or call us on 0800224000. Cash for Cars Hamilton: Cashforcarhamilton.nz is one of the fastest-growing Cash for Cars & Car Removals Company in Hamilton, New Zealand. We buy all makes/models of cars, 4wd, vans, RVs, trucks or commercial vehicles. We buy any motor vehicles and cash paid on the spot for the vehicle up to $12000. We collect your car within 30 minutes anywhere in Hamilton. Sell your car for FREE and QUICK cash on the spot. Cash for Cars programme is a perfect choice if you need instant cash. Our entire cash for cars process is FREE and EASY to use. Are you looking to sell your vehicle? Please select from the two options to sell your motor vehicle to us for cash on the spot. Complete & submit online quote form to sell used cars or call us on 0800224000. Our expert car buyers will value your car and contact you promptly with our best offer. If you are happy with our offer, you can drive-in car to our Hamilton yard. We pay you top cash for your car. If you are happy with our offer, we will arrange collection at a convenient time and we come to your place. Cash for Cars Removal Service: We will buy any vehicle, in any condition in Hamilton! Are you looking to sell your car today? Cash for Cars is the FAST, FREE & EASY way to sell your car. You’ve come to the right place. Cashforcarhamilton.nz give you a free quote for your vehicle, and we can then arrange a collection within 30 minutes anywhere in Hamilton for your vehicle. We make sure that when we buy your car that you are getting the best dollars possible. Whatever condition your vehicle is in, whether it is nearly brand new or used, it doesn't matter; if you want to sell your car, then we will happily buy your car from you giving you a no-obligation free online quotation. If you decide to sell your vehicle to us, then we can organise for free car removal within 30 minutes anywhere in Hamilton, New Zealand and we pay you before we leave with the vehicle. It takes minutes to get your no-obligation free quote and then you can decide if you want us to buy your car from you.So complete and submit the online form, and within a few minutes, you will have a quote from us to buy your car. Are you looking to get the most cash for your car? Cashforcarhamilton.nz – one of Hamilton’s leading unwanted and old cash for car removals company. We come to your place at times convenient to you, and we will happily collect your unwanted vehicle from anywhere in Hamilton. If your vehicle is damaged, accident, old, unwanted or looking to Scrap your car then Cashforcarhamilton.nz pays top cash for cars around Hamilton area. We are a local vehicle buyer paying cash for used cars & trucks in Hamilton running or not. Cashforcarhamilton.nz is the quickest and most hassle-free way to sell a used car in Hamilton. Here's how cash for cars works: First, simply fill in the details of your vehicle on the online form or call us on 0800224000. Getting cash for your car in Hamilton and Waikato region has never been easier. All you have to do is contact us by calling us at 0800224000 or by simply filling out and submitting the online quote form. 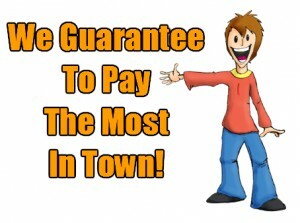 Then we will make you best cash offer for your old vehicle. Cash for Car Hamilton is a great program getting you the most CA$H for your car in Hamilton and Waikato region. It doesn’t matter what the condition of your vehicle is. Whether it's an old, broken, used, unwanted, accident, damaged, wrecked, scrap or just won’t run, we will be glad to take it off your hands. And if your car is in excellent operating condition, we want that too! We will buy any style, make, or model cars, 4x4s, vans, SUVs or trucks in any condition and pay you to top $$dollar$$ for it. By selling your car to us, you could have the cash on the spot, and in most cases, we collect your vehicle same day. If you want to sell or scrap your car today, call us at 0800224000, and we will be there to help! Who Will Buy My Car for Cash in Hamilton? Cashforcarhamilton.nz, Don’t waste your time and money hiring someone to sell your car. Our dedicated cash car buyer will come to you, purchase your vehicle on-site and leave you with cash in hand. As soon as you fill out our Cash for Cars online form, we will call you with offers for your vehicle. So when we arrive to assess your vehicles, 4x4s, vans, SUVs, we will have the highest offers possible. Our process makes it easy to sell your used car anywhere in Hamilton. Just fill out our online form and receive a fast, free quote from one of our expert vehicle buyers. Options - select from the two options to sell your motor vehicle. Drive-in and We come to you. Cashforcarhamilton.nz, we arrive equipped to handle all kinds vehicles and any size. Get a competitive, hassle-free offer without leaving home. We have appraisers that provide on-site service and cash for your used car. Rather than drive to a used car lot, we come to you with fast cash today! Cashforcarhamilton.nz is removing cars for cash in Hamilton. We provide free removal service for unwanted or scrap cars. We can removal vehicles of any make/models, any size or any condition. Are you looking to sell a car for parts? Cashforcarhamilton.nz buy's any make/models for parts. We stock a wide range of used auto parts from the vehicles we buy for wrecking. Got an old scrap or unwanted Cars, pickup Utes, Vans, SUVs or Trucks sitting around that you would like to get rid of that? Then we can help you out! Cashforcarhamilton.nz will pay you cash for your unwanted vehicle and then tow it away at no cost to you. The towing away of the vehicle is always fast, free, and set up according to your convenience. We pick up same-day if needed as quickly as 3o minutes in and around Hamilton and Waikato region. © 2013. Cash for Car NZ Partner.